After we started spinning and weaving, we wanted to get deeper into the process. For us, that meant raising sheep. Of course, we could have gone the 4H or FFA route and bought some club sheep, but those are typically meet breeds and don’t produce a very nice fleece for handspinning. We looked at Icelandic because of their unique fleece and dairy quality, but found them to be very expensive. We love the feel of Merino and Rambouillet wool, but those are BIG sheep, often weighing in at 300 pounds! We looked at the Navajo Churro breed, too. After much research, we chanced on a funky looking trio of sheep at the sale barn in Fowler, Colorado and bought them along with a guardian llama. These sheep had black spots and boots over a white fleece and horns sprouting out all over the place! We found the breed we wanted almost purely by accident. Jacob sheep! 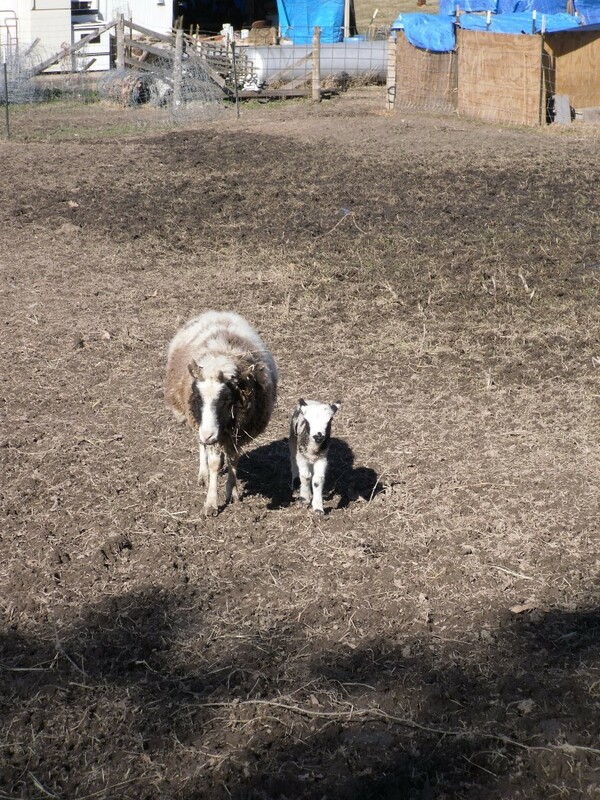 We named them Parsley (the wee bitty lamb), Sage (the big ram), Rosemary (the llama), and Thyme (the ewe). As we were paying for them, we were given the name of the people that brought them in and we contacted them. Seems they were getting out of the sheep business and were quite happy to let us buy their flock. Some 50 head of Jacob sheep came home over the next couple days. 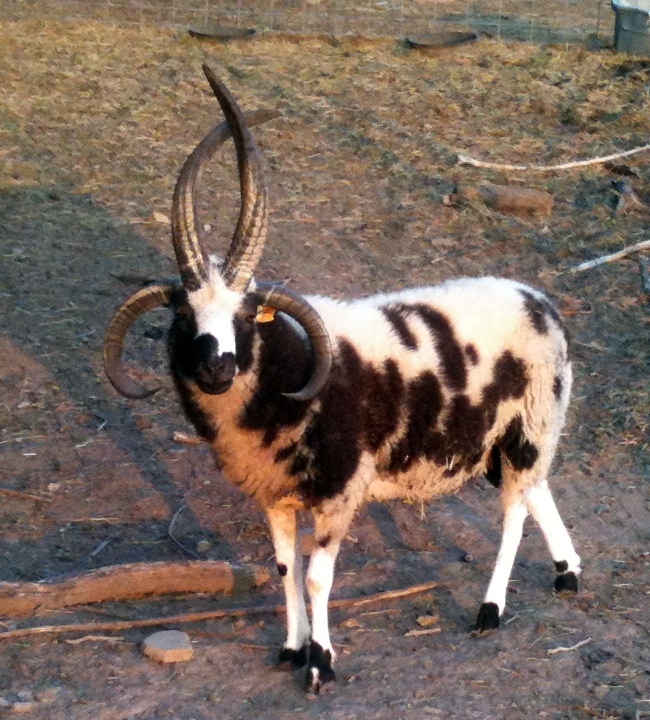 Jacob sheep, we discovered, are a rare breed with a great deal of history. 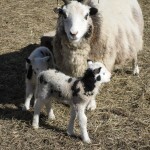 Their name, it is said, comes from the Biblical story of Jacob taking the piebald (spotted) sheep from his father-in-law’s flock (Genesis 30:32). 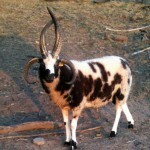 There are cave paintings of these polycerate (multi-horned), spotted sheep in Syria dating back 3000 years. They were so unique looking that for a while, they were considered park sheep and kept by the lords and ladies of the day in jolly old England to graze around the estate. Great lawnmowers! However, the English did some selective breeding to get a sheep that was larger and silkier, but not quite the same as the original breed. Some of the original breed survived, though, and were brought to the US and are now called American Jacob. 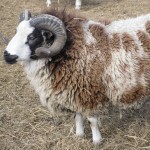 What sets the American Jacob apart from any other breed is the combination of a medium fine fleece and the growth of multiple horns. 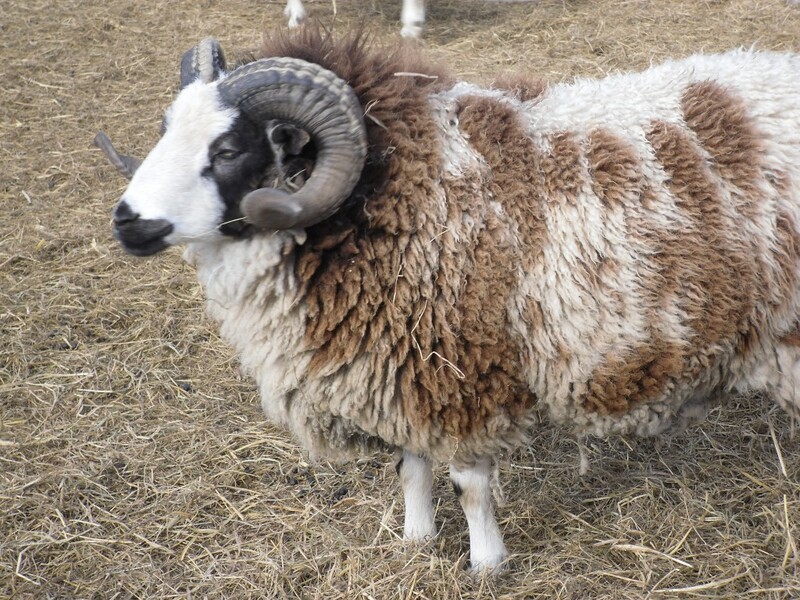 Most breeds with the polycerate gene grow a double coated fleece with a coarser outer layer and a fine undercoat. 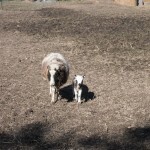 Most breeds of sheep are larger and blockier, too. 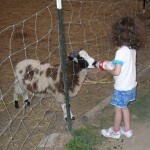 Jacob sheep are small and fine boned and easy to care for. 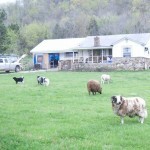 Today, we have a small flock of 25 Jacob sheep comprised of a couple wethers, 2 rams, and 21 ewes and yearling lambs. 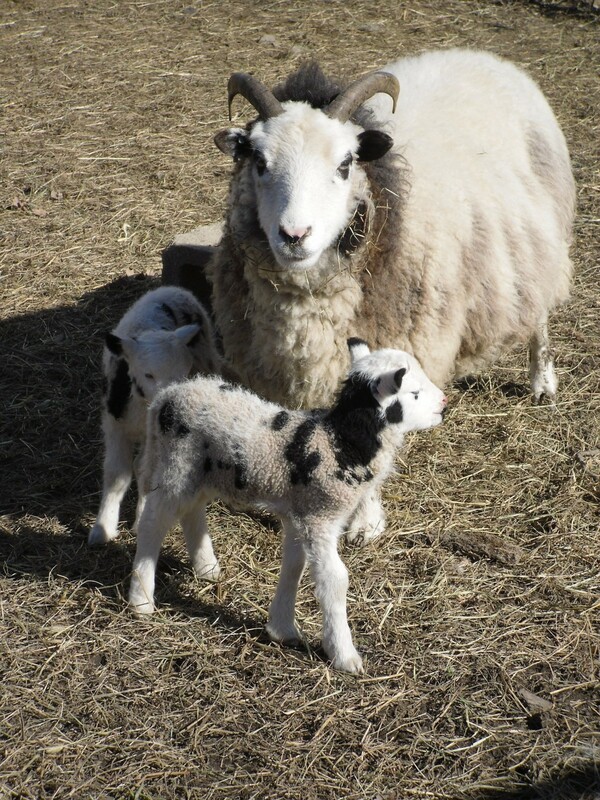 We shear them by hand in the Spring and use their fleeces in spinning and rug weaving. 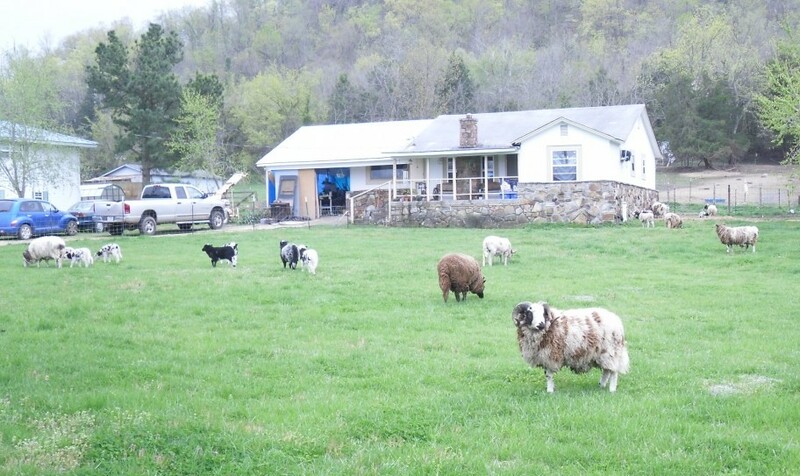 Our sheep not only provide us with wool, but also lawnmowing services and entertainment. 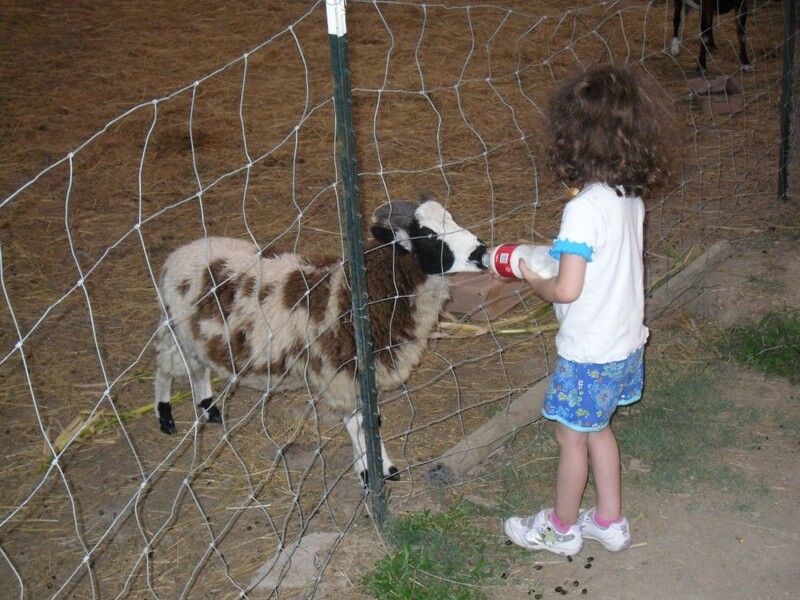 Shawn’s granddaughter has fun giving one of our bottle lambs dinner. 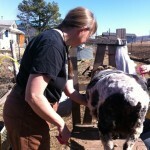 Jeanette is about to let this newly shorn sheep go.